While almost everyone living in Brussels reports that they find their own neighbourhoods safe, some are safer than others when it comes to crime, according to the regional Prevention & Safety agency. The agency looked at reported robberies of homes, cars and persons, as well as crimes involving physical violence and drug trading. The report for 2016-17 shows that 88% of residents think the neighbourhood in which they live is safe when it comes to crime. The report, however, only gives a low to very low crime rate to about half of the neighbourhoods. The report splits the capital up into 118 neighbourhoods, leaving out 27 with very low residential populations. Of the 118, some 56 are rated low in crime (with 500 or fewer reported incidents per year). The safest neighbourhoods overall are in Uccle, Anderlecht and Woluwe Saint-Pierre, where nearly all areas fell into the below 500 reported crimes per year category. 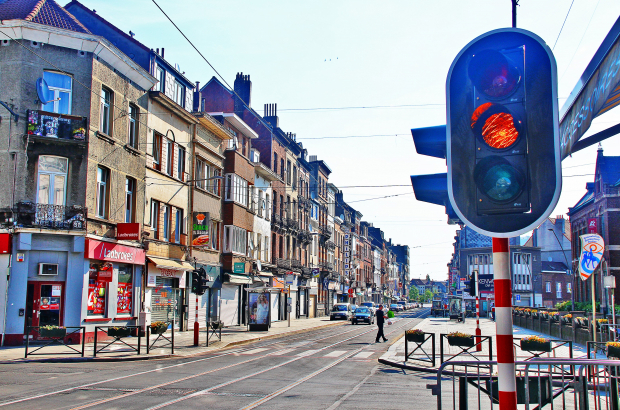 Many neighbourhoods in other municipalities, however, also scored well, including Haren in Brussels-City, Potaarde in Berchem-Sainte-Agathe and Josaphat Station in Schaerbeek. The neighbourhoods that fared the worst, with between 1,500 and 2,500 reported crimes per year were mostly in Brussels-City. The neighborhoods with the most reported crimes were: Quartier Nord, Grand Place, Mantonge, Porte de Hal and Brabant. That last one is the North Station district in Schaerbeek. The report also splits up the specific crimes, with Uccle, for instance, faring worse when it comes to home burglaries. Anderlecht and Woluwe Saint-Pierre, too, lose a bit of their shine when violent crimes are removed and only burglaries figure. Northwest Anderlecht, in fact, has one of the worst home burglary rates in the capital, followed by Saint-Paul and Chant d’oiseau, both in Woluwe-Saint-Pierre. When it comes to the touristy Grand Place, meanwhile, much of the reported crime involves theft, but physical attacks also rate higher than in other areas of Brussels-City. The Prevention & Safety agency points out, however, that, home burglaries are much more likely to be reported than theft of personal belongings. Crime in general, however, has decreased overall in the capital over the last decade by 22%, according to the report, despite an increase in residents of 15%. Interesting how in my area two adjacent neighborhoods have very different drug related stats. I wonder if it has something to do with the fact that in the one with low rate there is not even one secondary school, while in the other there are two big ones.